Novelist Thomas Wolfe said that the central and inevitable fact of human existence is loneliness. Whether we are introverts or extroverts, married or single, standing on the stage or sitting in the cheap seats, preaching sermons or listening to love songs, we all share the struggle to connect. According to the Bible, we experience loneliness not because there is something wrong with us, but because there is something right with us. We know deep down that we were made for more connection, intimacy, and love than what we often experience. We sense that this is not how it’s supposed to be. This is true experientially. It is also true theologically. When God created the universe, He declared it all very good (Genesis 1:1-31). But God still saw something missing with creation — just one thing preventing His perfect world from being complete. It is striking that God declared this negative assessment in Paradise, before sin entered the world! God’s perfect creation still had one missing piece: Adam had no companions. Being made in the image of God, we humans are likened to our Lord who is both One and Three — the Triune God of Father, Son, and Holy Spirit. He who Himself is a community has also made us for community, not for isolation. A surface reading of these verses might lead us to think that the sole answer to our loneliness problem is marriage and that those of us who don’t marry are doomed to be relationally incomplete. This reading is flawed for several reasons. First, sometimes the deepest forms of loneliness happen inside a marriage. This is especially true when a husband and wife isolate from each other and struggle to communicate, apologize, and forgive in times of discord. As any married person will confirm, marriage is not a “magic bullet” that cures the loneliness problem. Second, if it were true that only married people can be relationally complete, we would be forced to conclude that the Bible’s foremost teachers on marriage — Jesus and the Apostle Paul — were both incomplete. But they were not. Paul celebrated singleness because it freed him to focus on kingdom concerns without distraction (1 Corinthians 7:8). Jesus, also unmarried, was complete from the beginning as the image of God. He is “the image of the invisible God” and “the exact imprint of (God’s) nature” (Colossians 1:15; Hebrews 1:3). 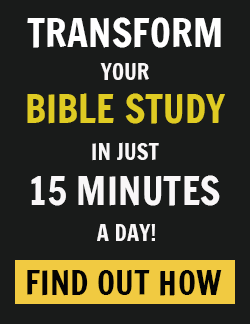 Even still, both Paul and Jesus recognized that it was not good for them to be alone, either. Each became inseparably tethered to others, nurturing and enjoying an abundance of friends that included both women and men. Paul took traveling companions with him virtually everywhere he went. In every town he visited, he developed deep, lasting friendships. Many of these he would mention by name and with great affection in his New Testament letters. As for Jesus, He had twelve intimate, male companions — the disciples — including His most intimate circle of Peter, James and John, plus several women including sisters Mary and Martha, and Mary Magdalene. This is true because even in Paradise — and even if you are God — it is not good to be alone. 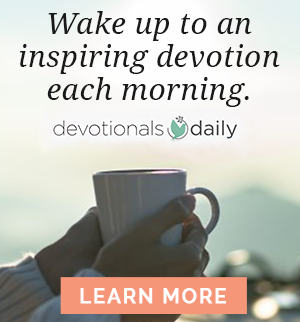 Written for Devotionals Daily by Scott Sauls, author of Irresistible Faith. is senior pastor of Christ Presbyterian Church in Nashville, Tennessee and author of Jesus Outside the Lines, Befriend, and From Weakness to Strength. Prior to Nashville, Scott served at New York City's Redeemer Presbyterian Church as a lead and preaching pastor and planted two churches. Scott's work has been featured in publications including Christianity Today, Relevant, Qideas, Catalyst, Leadership Magazine, aholyexperience, Table Talk, The Gospel Coalition, Key Life, as well as other publications. 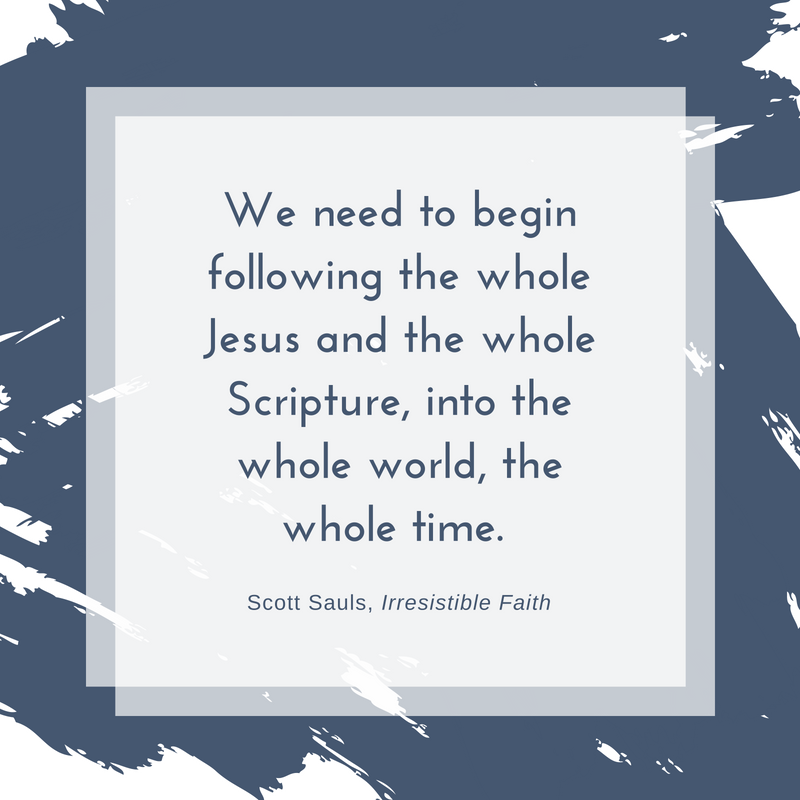 Scott can be found on Facebook and Twitter/Instagram at @scottsauls, and he blogs weekly at scottsauls.com.